Vickie Ann Owens, age 59, of Aurora, Missouri, passed away at 12:04 p.m. on Sunday, November 18, 2018, at the Mercy Hospital in Aurora. She was born November 11, 1959, in Wichita, Kansas, the daughter of Charlie and Virginia (Travis) Johnson. 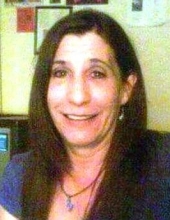 Vickie was a 1977 graduate of Wichita South High School in Wichita, Kansas and served in the United State Air Force. She was the kitchen manager for Hawg Wild Barbeque in Aurora for eight years and loved to work in her flower garden. On April 28, 1985, she married Bobby Wayne Owens in Mt. Vernon, Missouri. Vickie is survived by her husband of 33 years, Bobby; one son, Travis Owens of Aurora; one sister, Kaye McFalls of Florida and several cousins, nieces and nephews. Her parents, Charlie and Virginia and sister, Sherie Johnson preceded her in death. A funeral service will be held at 10:00 a.m. on Saturday, November 24, 2018, at the Crafton-Cantrell Funeral Home in Aurora. To send flowers or a remembrance gift to the family of Vickie Ann Owens, please visit our Tribute Store. "Email Address" would like to share the life celebration of Vickie Ann Owens. Click on the "link" to go to share a favorite memory or leave a condolence message for the family.